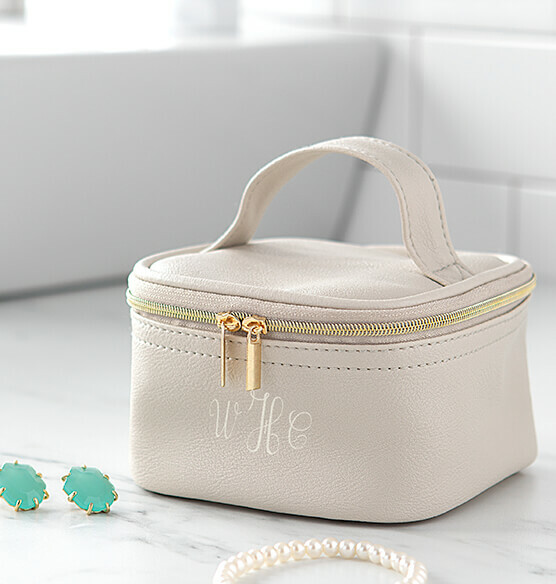 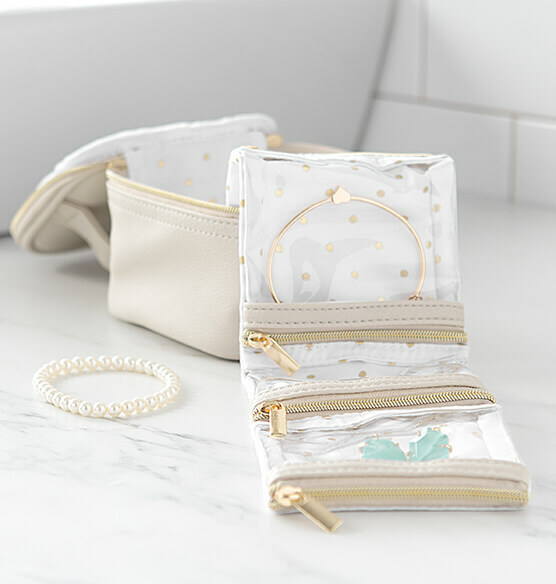 Take your jewelry on the road with ease with the vegan leather Personalized Travel Jewelry Case. 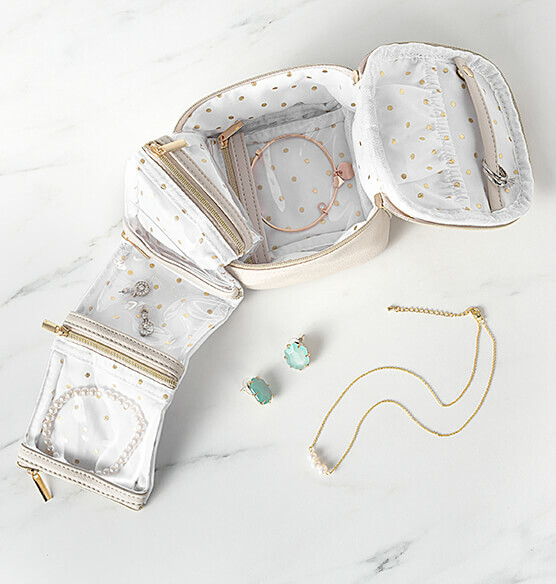 This travel jewelry organizer features several compartments that unfold to keep your jewelry safe. 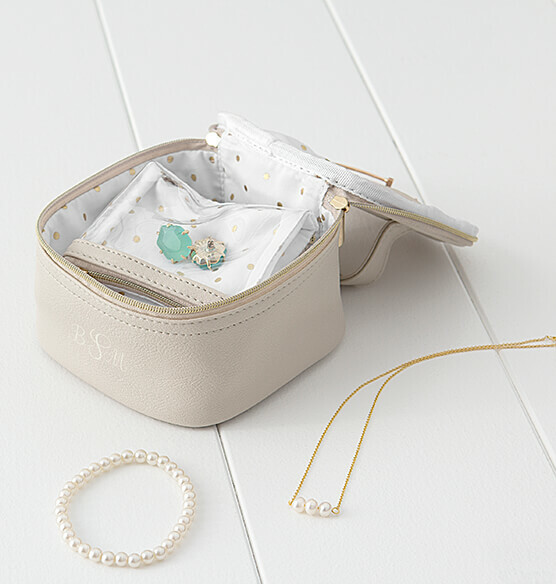 Each compartment is secured with a zippered closure and folds back in to save space.